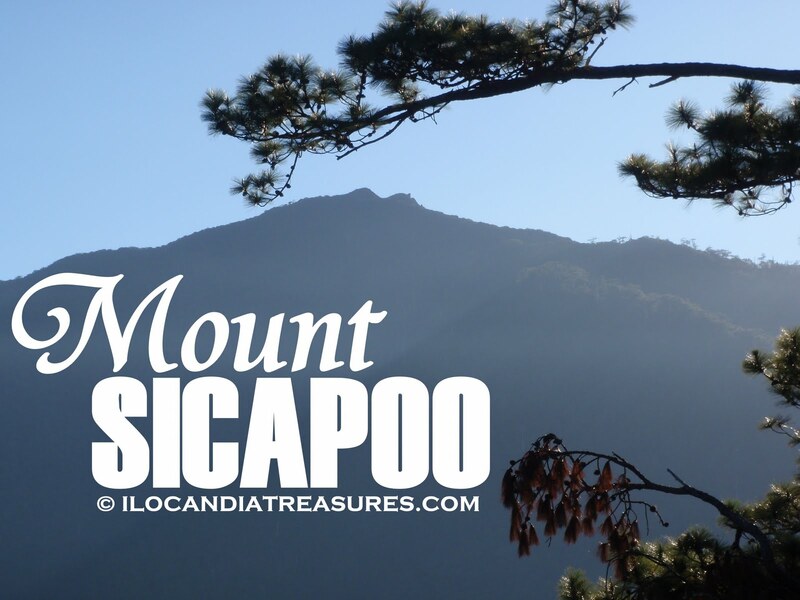 Considered to be the highest peak in the province of Ilocos Norte is Mount Sicapoo located in the town of Solsona with an altitude of 2, 354 meters above sea level. 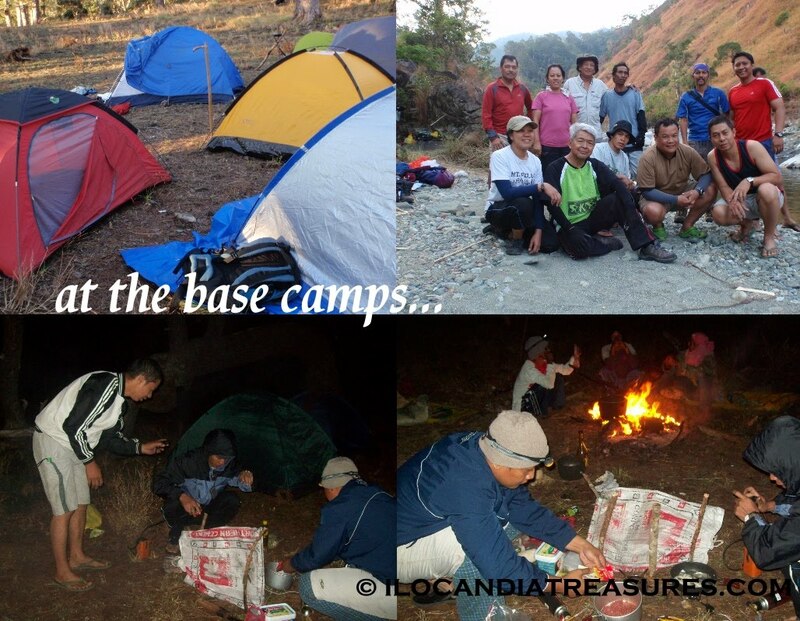 The group of Laoag Mountaineers together with the Ayala Mountaineers expedited this high mountain on February 11-15, 2010 for a 5-day challenge. We were the second batch or group to explore this mountain. This climb was participated in by Ricky M. Apolonio, Gerry M. Apolonio, Lester J. Susi, Atty. Wilfredo Nuesa, May Coleen Columbia L. Cajigal, Samuel Chocaocao, MC C. Apostol, Jr., Ike Castillo, Maila Sapinit, Edwin Antonio and led by Bishop Sergio Utleg. 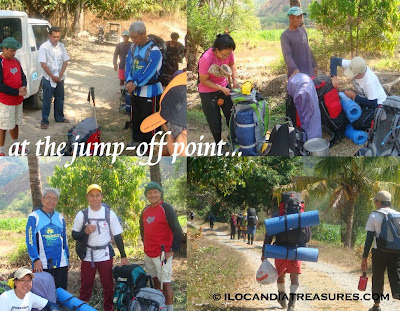 The group started at the jump-off point in Manalpac just close to the Karingking River. We commenced at midnoon and reached Parpar after four hours trek. There were ten river crossings we made on this trek. It was basically river trekking passing through the distributary of the long Gasgas river. The first day was just fine for all of us. 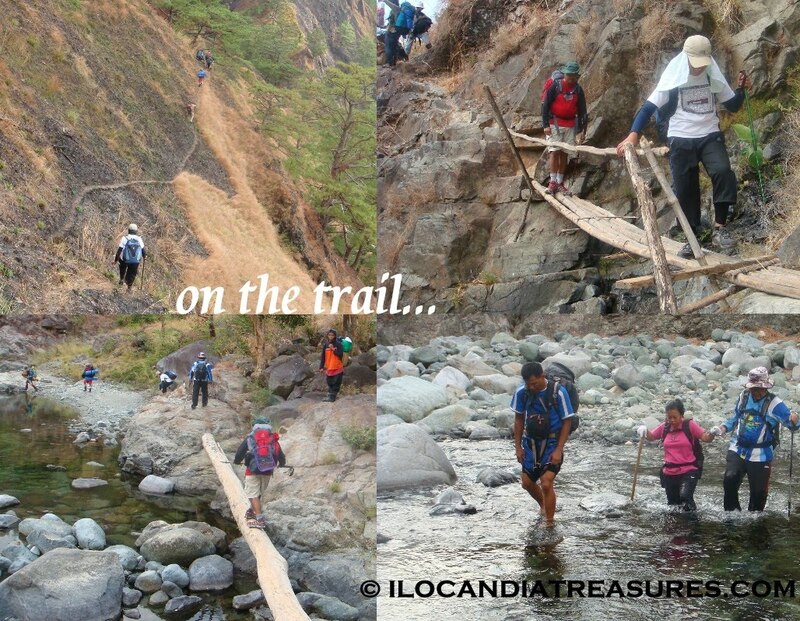 We crossed walking trails, footbridges and crossed rivers and rock garden. However, the second day tested our endurance with eleven hours of trek that two of our fellow mountaineers have to give up and stay behind. We passed through the most difficult knife-edge ridges and saddle trails and we have to use ropes at some points to get through. We also walked on sidehills, on slopes and of course the switchback trails. We have seen Mount Timmarid and Mount Simagaysay on the far distance sides and even Hercules Mines. There were some waterfalls that we have seen along the way. We even took a dip in some of the rivers. It was refreshing to swim then resume the trek. We passed by the areas of Rumangeg, Basangal, Mabangeg, Nagsabaran, Sabungen, Madangdangla, Birbira nga dakkel, Parpar, Saulay, Bubuos, Balbalitok, Balbalete, Pakpako, and eventually reached Sicapoo summit. At the assault of the summit where we spent 5 hours in ascending, we penetrated the tropical rainforests and conifer forests. We have to make steep ascent. There was a part where we have to walk on a mossy area. The sky was clear but suddenly it turned cloudy and drizzled a bit then cleared again. There were some points that you would think as the summit but it’s a false one. We had to traverse some more. 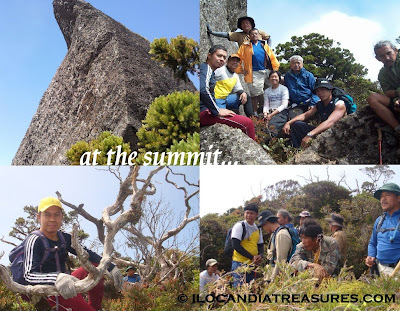 Upon reaching the summit, there was a massive bird’s head-shaped rock that makes it unique. It has a form of beak. We attempted to climb the rock but not possible. We just took photos at its sides. Mount Kilang can be seen on the west side, while to the south and east are more mountains. We just stayed for an hour at the summit taking lunch and had photo ops. We were so happy with what we have achieved. A mass was celebrated by Bishop Utleg on that evening and as a part of the celebration we had dinner and socialization with a bonfire. Majority of the climbers and even the guides shared their talents. Each of us aired our evaluations and sentiments to the group. Some burst into tears due to the difficulty of climb. We were assisted on this climb by our guides and porters headed by Mang Emilio Benito with his company Rolando, Chris, Danny, Lito and Joel. Along the way we saw numerous dong of musang or wild cat. We also saw wild chicken or abuyo which was so quick to run. There were different species of plants and there were colorful blossoming flowers. We saw also kundidit, bayek, and tokak. Our guides collected bilagot and cooked for our dinner. It was so sad to see the scenario up in the mountains especially before reaching Pakpako campsite where there were widespread kaingin. Burnt trees and forests were we saw to be used for hunting deers. On our way back, I managed to get one of my shoes safe and dry. I was able to hop from one rock to another. It was fun to be stepping but extra care should be exercised since unstable rock or stone can topple you down. After my interview with Bishop Utleg, he said that this trek had a degree of difficulty of 9 out of 10. After our successful climb we were treated with lunch at Dingras by Atty. Nuesa. The following was our itinerary. I am Erick Aguinaldo, from Pasuquin but now based in Manila. My group is planning to climb Mt. Sicapoo first week of September, we would really appreciate assistance. Erick_aguinaldo@yahoo.com. Nice to know that you are interested to climb Mt. Sicapoo. I will give you the contact person through your email. Thanks. Sir pasend din po ng contact person. Me and my group is based in Manila. here's my email add mjbabon@yahoo.com. Thanks in advance! Hi Melvin, you can Mr. Archie Pinzon at onedegreemg@ymail.com. His group can give you assistance on your climb. Thanks for your inquiry. Enjoy ur climb.